Home » News » BTRC funds research into other rare cancers in the hopes of finding a cure for all. It is a known fact that over 50% of brain tumours are metastatic – i.e. they spread to the brain from other parts of the body. As research into the more common primary tumours like breast and skin cancers gets better, there has been a rise in recent years in the occurrence of secondary tumours in the brain. One of the most common types of these secondary tumours is melanoma (skin cancer) – and 40% of all melanoma eventually spread to the brain. We have recently joined forces with two individuals who have both lost loved ones to a rare form of Mucosal Melanoma – Steve Dunster started the Sharon Dunster Foundation in 2017 and Hattie Magee created the Dom Magee Memorial Fund in October 2018, and they have so far raised over £140,000 for this research. We are hugely grateful to them for supporting our campaign. 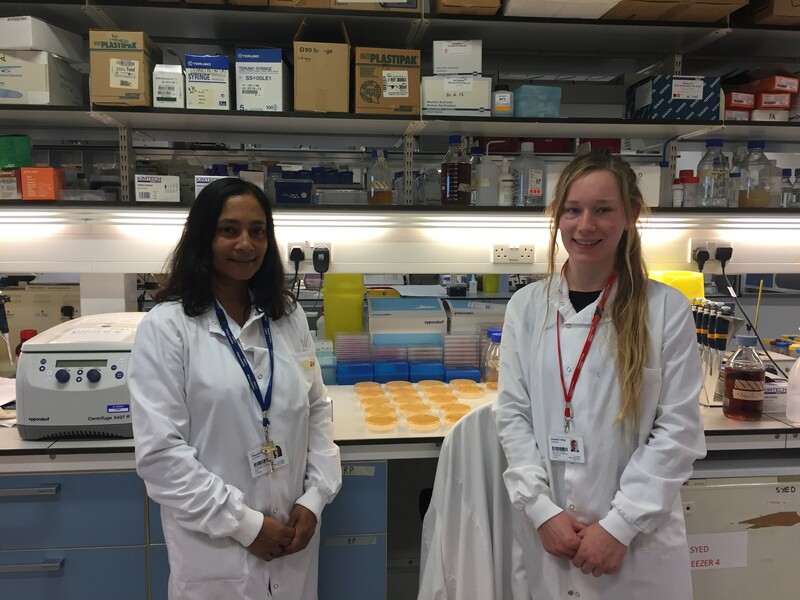 We are creating a research group working in the John Fulcher Neuro-oncology Laboratory at Imperial College London’s Hammersmith campus, and part of the Brain Tumour Research Centre of Excellence, under the supervision of Dr Nel Syed. Their work will further our knowledge of how both mucosal melanoma cells and brain tumour cells behave. We already know that some especially aggressive types of breast and skin cancers are similar to GBMs (the most common malignant brain tumour) and they all have high mortality rates with very limited and difficult treatment options, partly because of the blood brain barrier which limits penetration of many (but not all) drugs into the brain. Recent advances in stereotactic radiosurgery have improved this, but the prognosis remains guarded at best. These cancers all have similar genes that drive the development of aggressive cells, which suggest that treatment options could be shared by them all – therefore our research in GBMs might benefit from results shown in melanoma, providing more successful treatment options for brain tumour patients. For example, in melanoma we have already shown (and published) that inhibiting the system that controls blood pressure slows down the growth of melanoma cells and the same results also show in brain tumours. Although each cancer has distinctly different genes and mutations, the similarities between these cancers suggest some common molecular pathways which affect the growth of the cancer cells. Our research on these pathways is helping our understanding of their make-up and we hope it will lead us to find new, common therapies for both types of cancer. We strongly believe that it is by searching for common pathways in these rare cancers which may ultimately unlock the secret to finding a cure for both primary and secondary brain tumours.